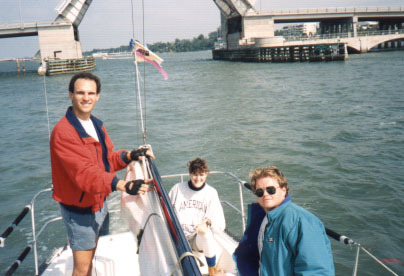 These are the early days of our sailing addiction. 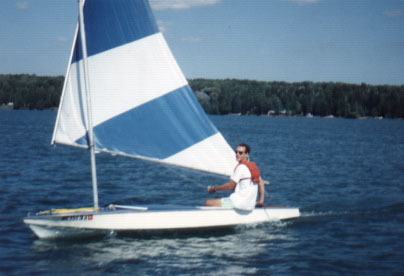 Joe's first boat, a Glastron Alpha 159 (a Sunfish-type craft with an extra large sail). Summer 1991. 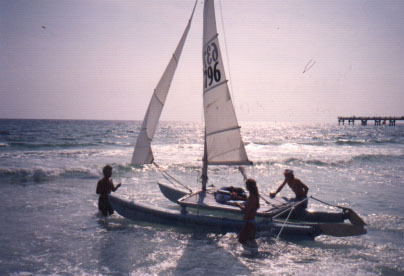 Joe meets Hobie in Fort Walton Beach Florida via the Georgia Tech Sailing Club. Fall 1992. 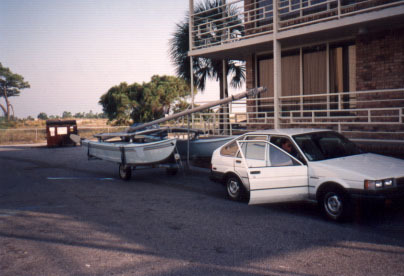 Fall 1992, Fort Walton Beach, Florida. 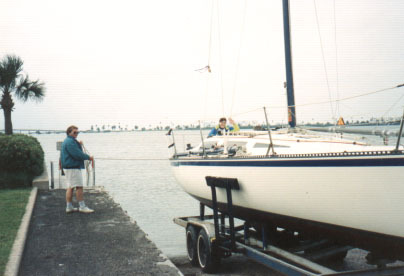 This blue Hobie would later be destroyed by Category-3 Hurricane Opal that came through FWB in late 1995. Joe's first tow vehicle, a 1987 Chevy Nova. 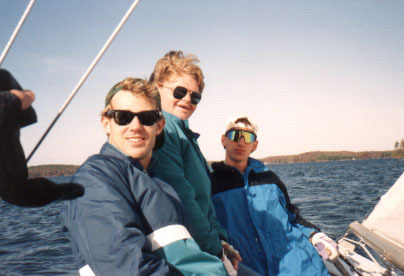 A good day on the Soling 27 at Lake Lanier, Fall 1992. 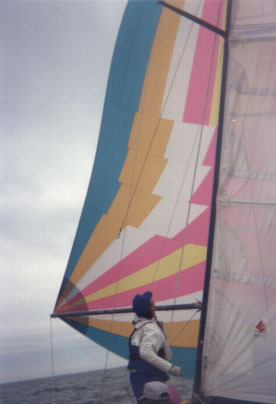 Taking a Hobie 33 to the 1992 Kahlua Cup (an overnight race) off the coast of Clearwater, Florida. 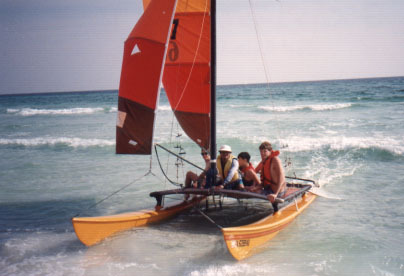 Joe, Monica and Jeff on the Hobie 33 at Kahlua Cup. 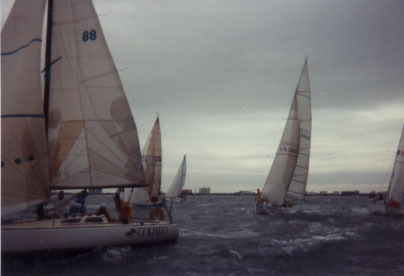 At the start of Kahlua Cup. 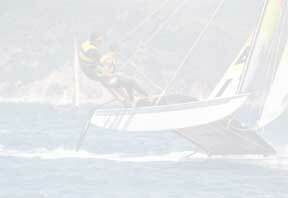 Greg flying the 'chute during Kahlua Cup.